Its a sad day for the candy world. 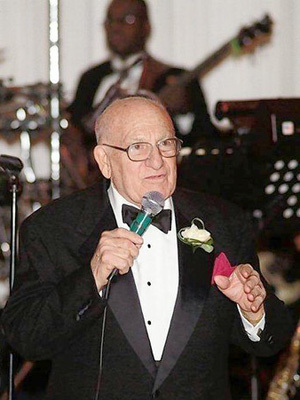 Ferrara Pan candy company executive Nello Ferrara died on February 3 ,2012 in his Chicago home at the age of 93. Ferrara candy company was started by his father in 1908. When this candy company first started the first candy to be made was candy coated almonds which were very popular for weddings. Nello who was actually a lawyer became executive of the company in the 50's. He is the man responsible for inventing two of Ferrara Pan's most popular candies. Without him there would be no Lemonheads or Atomic Fireballs. Nello came up with the idea for the Lemonhead candy in 1962 when he son Salvatore was born. He always said his son must have come out sideways as his head was shaped lemon. Now 50 years later this lemonhead candy is still one of Ferrara pans most popular candies. Who can resist the these little lemon balls? A tart candy shell surrounding a lemon flavored candy ball. Nello also came up to with the idea of the Atomic Fireball candy after he lived in Japan during World War II. The Atomic Fireball is a red candy ball that has a hot, spicy Cinnamon flavor. In 2002 Nello stated he gets all his energy because he eats one Atomic Fireball daily. Ferrara Pan company is also the makers of Jaw Busters, Red Hots, Cherry Heads and Grape Heads. We thank Mr. Ferrara for coming up with such wonderful candies that we have loved for many years and we are sure for many more years to come.